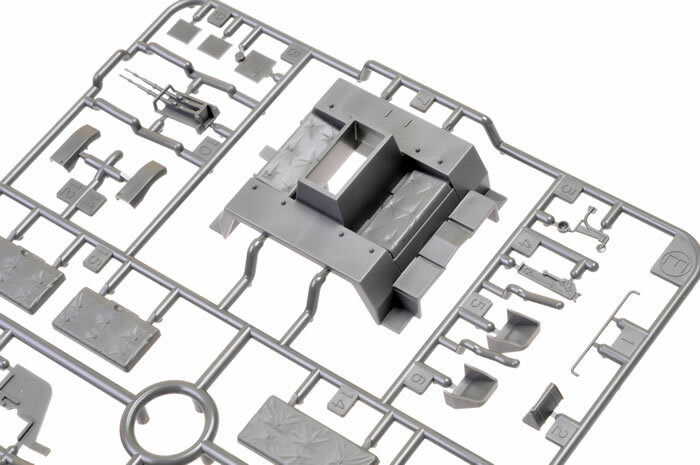 Advantages: Accurate in shape, logical build steps, easy to build, low parts count. Recommendation: I am impressed with the overall feel of this kit. It may be small but it is certainly perfectly formed. Recommended. 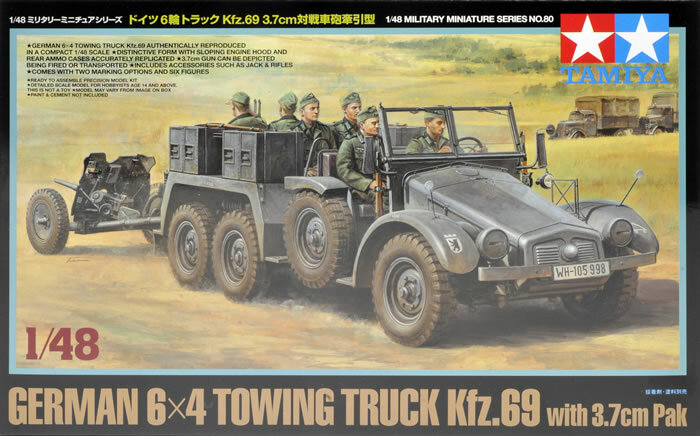 The L 2 H 43 and L 2 H 143 "Krupp-Protze" (unofficial designation) was a six-wheeled German truck and artillery tractor used by German forces in World War II. It was powered by a 55 hp or 60 hp (since 1936) Krupp M 304 4-cylinder petrol engine. Its main purpose was to tow artillery, especially the PaK 36, and transport motorized infantry. This vehicle was extensively used on the Eastern Front, during the North African campaign and in France and Sicily. The "Krupp-Protze" was of relatively advanced design. It was mass-manufactured between 1933 and 1941. Its fuel consumption was relatively high (24 Litres / 100 km on road) in comparison to the comparable Opel Blitz 1.5 t truck (16.5 liters / 100 km, produced 1938 - 1942). 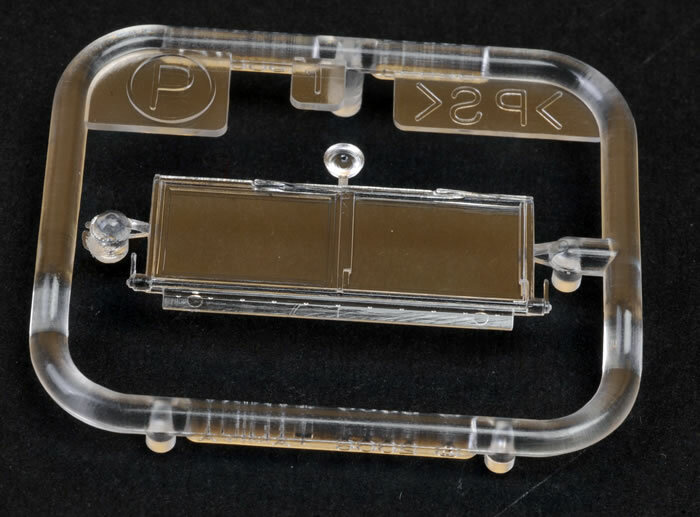 Total production was about 7,000 units. Sd.Kfz. 247 Ausf. A - Armoured personnel carrier, six-wheeled version, only 20 built in 1937; production went to Daimler-Benz, who built the Ausf. B four-wheeled version in 1941 and 1942. 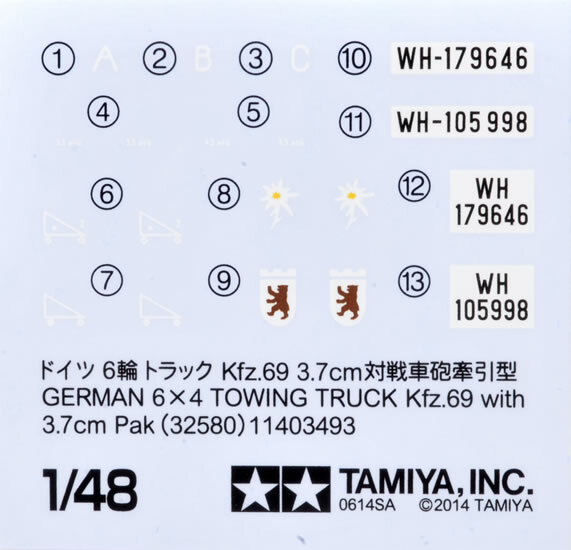 Tamiya’s new 1:48 scale kit of the perennial Krupp Protze truck, first released by Tamiya in 2006 as item no. 32534, is the towing version of the very same truck. 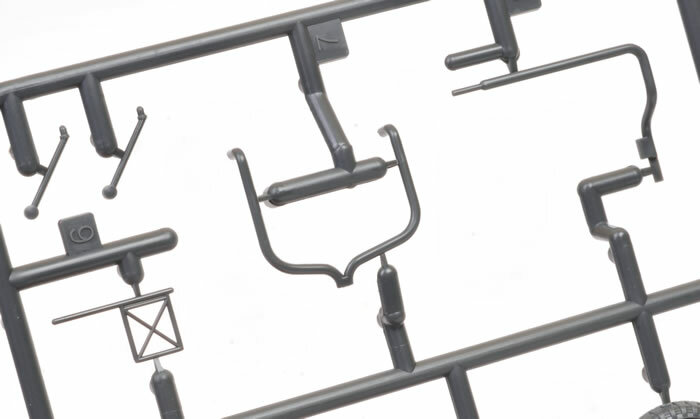 The kit comprises 68 parts moulded in dark grey plastic over six sprues. The box art on this release is very good, with a sharp and technically correct illustration adorning the now familiar black bordered box. 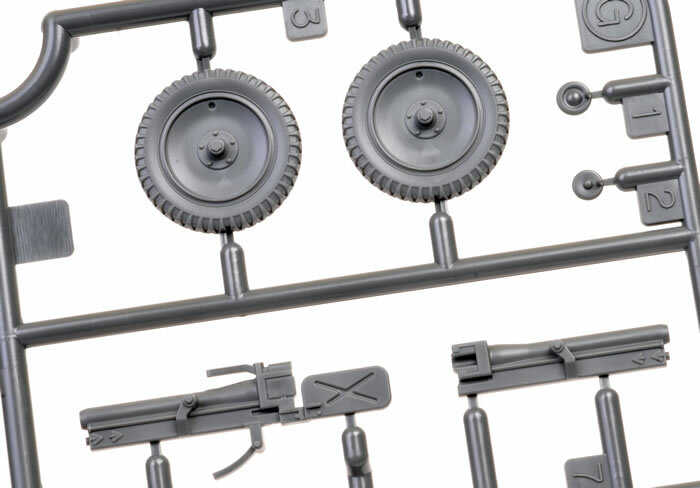 Tamiya has seen fit not to use a die cast chassis on this release and, as a result, more useful detail has been incorporated into the new plastic part. 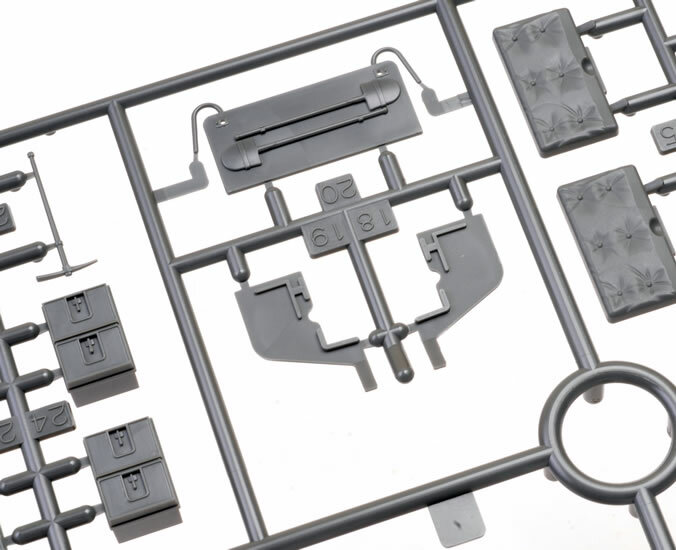 Careful study of the old die cast chassis and the new plastic chassis reveals the bed supports are now hollowed out which is a welcome change. 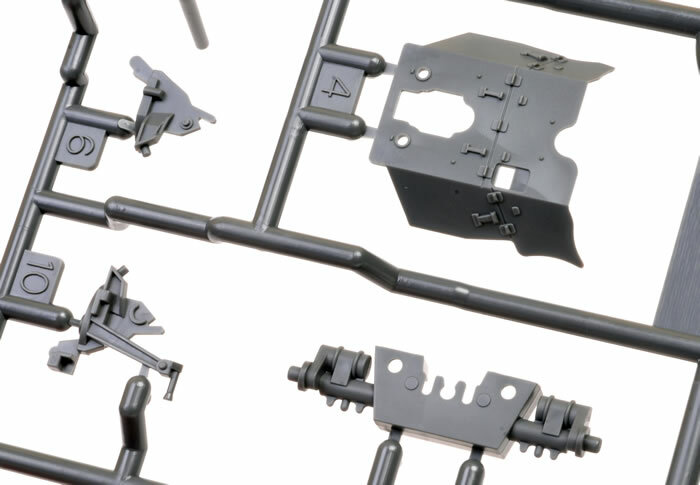 This release has the chassis moulded in plastic and in one piece. 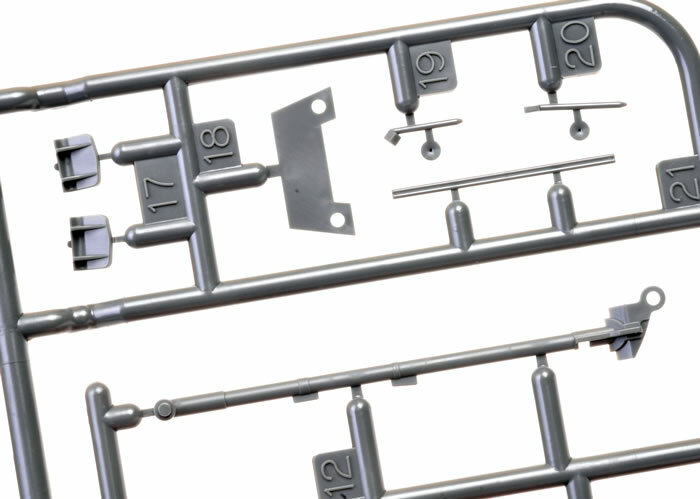 The body is moulded in a number of pieces with the front fenders being attach to the bonnet. 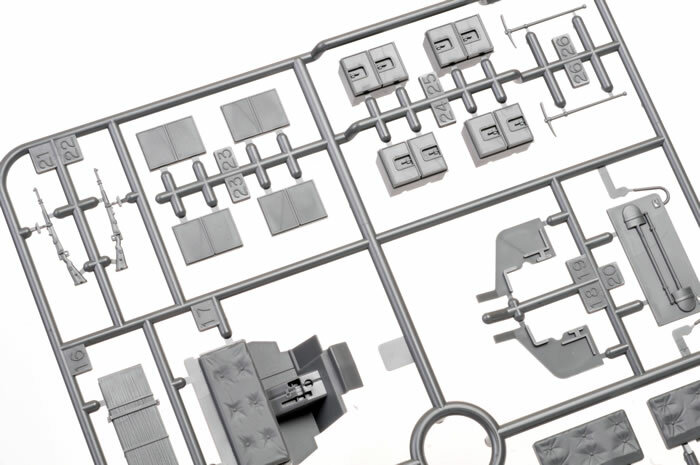 The rear troop compartment is an entirely new sprue (E) and is quite well done with some fine seat detail in evidence. The road wheels have the correct hub shape and have off road tyres. 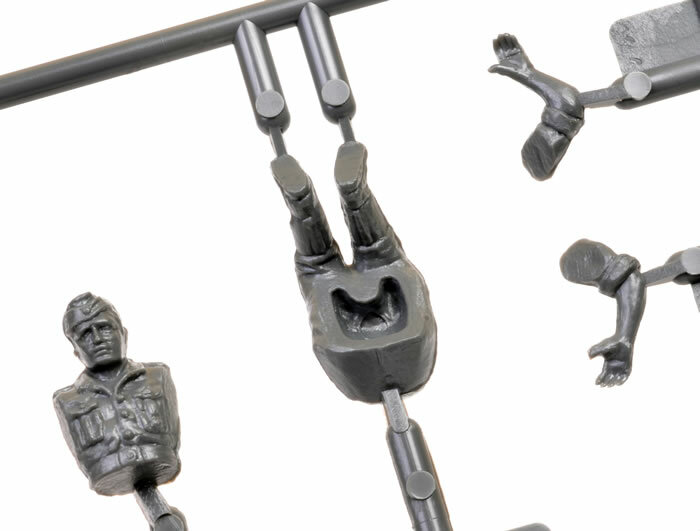 The seated figures are a carryover from their first release. The Iggy Pop song ‘Five Foot One’ comes to mind when looking at these guys. They are very small and seem to be moulded to fit. 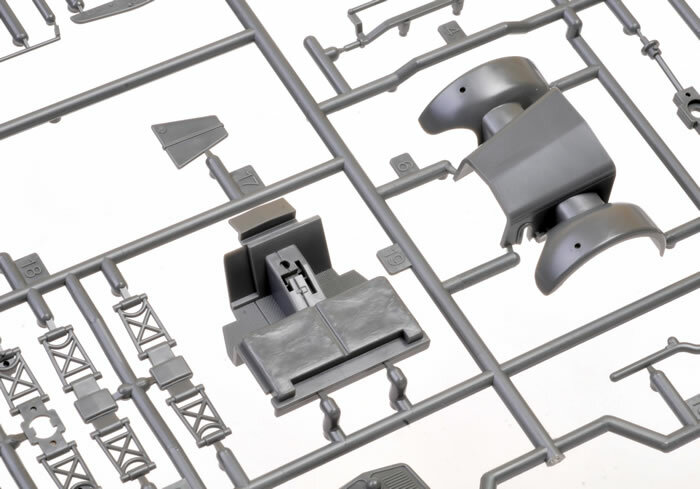 Tamiya have lifted their game in this regard since these figures were originally release. 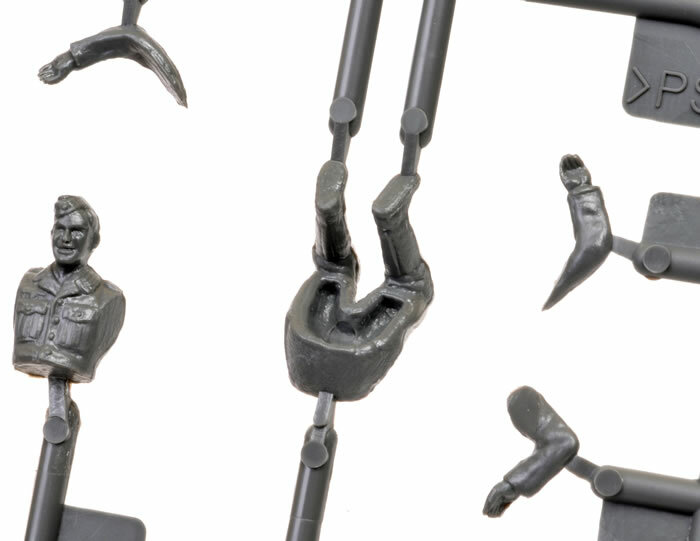 Most of their newer figures are really quite good, which makes the inclusion of these so disappointing. 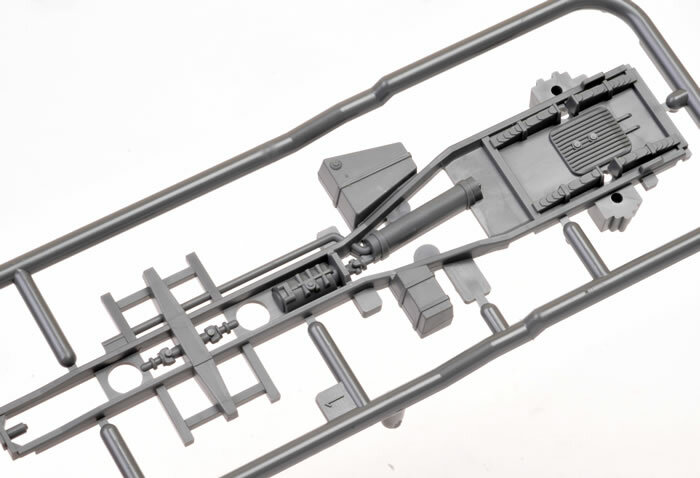 A 3.7 cm Pak is included in this release and is included on sprue G. The gun is quite simple, but even with that being said it is very well done. 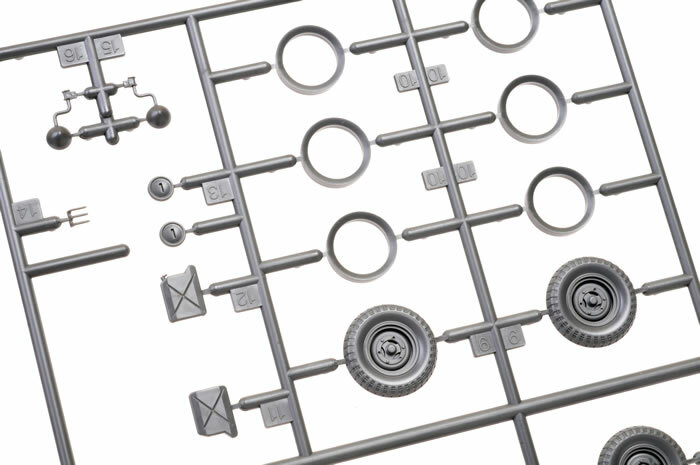 Two markings choices are provided, both in Panzer Grey. I am impressed with the overall feel of this kit. It may be small but it is certainly perfectly formed. 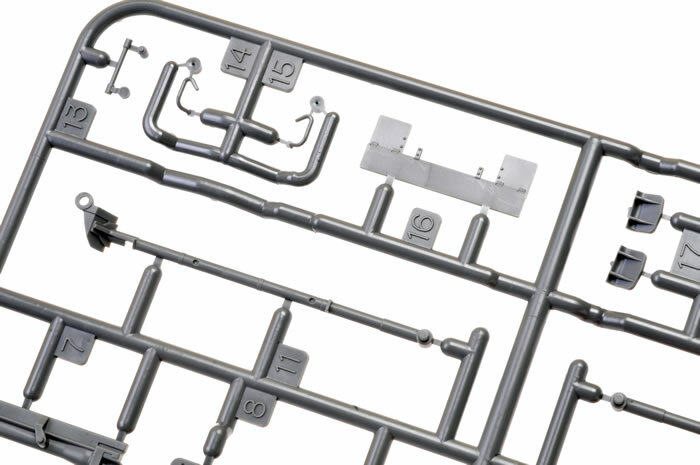 The moulding is first class, it is accurate and very simple to build, all the hallmarks that we have come to expect from Tamiya. 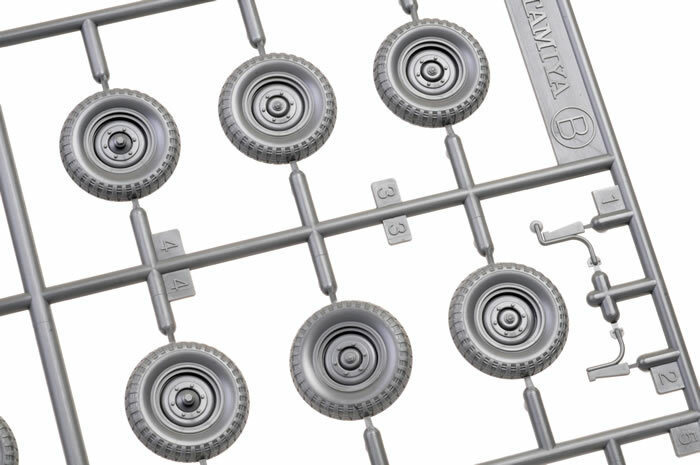 The subject choice - in my opinion - might not be to my liking but, it is a wonderful addition to the ever expanding range of Tamiya 1:48 scale armour.